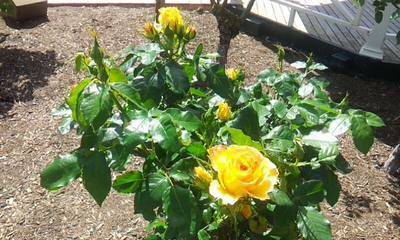 Spring is here and the Victoria State Rose Garden in Werribee is starting to bloom with roses. 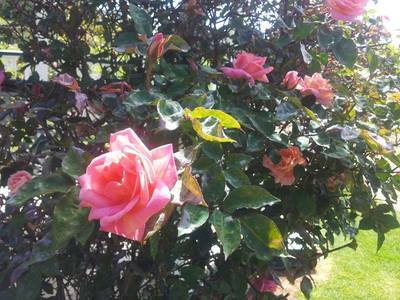 Established in 1986, this rose garden is bestowed with a diverse range of stunning roses. Spread over 6 acres, the Rose Garden is home to 5000 roses and has been awarded the International Garden of Excellence by the World Federation of Rose Societies in 2003. It is the first garden outside of Europe which has received this unprecedented honour. Another appealing aspect of this beautiful Garden is the fact that this garden is the one garden to be cared for by volunteers. Each year, 100 volunteers work ceaselessly to maintain and enhance the dazzling beauty of this fabulous garden. Once you have reached the park, proceed to the entrance which is a huge metal arch welcoming the visitors inside. Once inside, you will be find yourself in a rose heaven where roses of all kinds, colours and varieties reside in perfect harmony. The seamless existence of so many diverse categories of roses is truly a panoramic view. Venture inside slowly and feast your eyes on the fantastic natural beauty as your olfactory revels in the invigorating aroma of fresh flowers. The shrubs and plants have small metal plates embedded in the ground next to them, proudly proclaiming the name of the rose variety as well as the date the plant was planted. Subject to weather, the best times to visit the Garden is in November, when the spring roses are at their peak, and in March, when the autumn flush of modern roses pervade the garden. Otherwise, the Garden has some blooms from early October until late July. 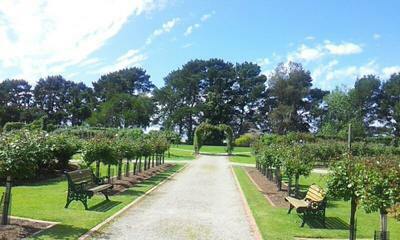 The Rose Garden is continuously looking for volunteers to give a hand in the upkeep of this fantastic gem. If you have the time and energy then you are invited to partake in the volunteering fun by showing up in the mornings of Wednesday and Saturday. Sunshine, fresh air, learning, satisfaction and meeting new people are some of the many perks of volunteering for this philanthropic cause. 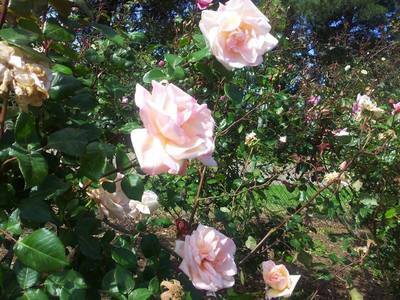 Located at the Werribee Park in the Werribee Park Tourism Precinct (Melway Reference 201 B/C 3), the rose garden is accessible both the car and public transport. If you are taking the car then you will be delighted to hear that parking is ample outside the Garden. If public transport is the preferred mode of transport then take the train from Melbourne to Werribee and then the 439 bus, which will deliver you into the grounds of the Precinct. 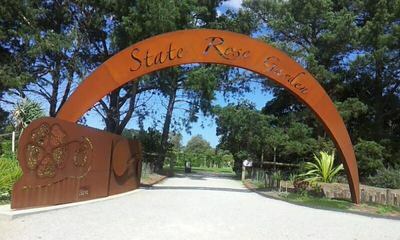 The State Rose Garden is situated adjacent to the Werribee Mansion and Werribee Open Range Zoo, which are both excellent tourist attractions in their own rights. 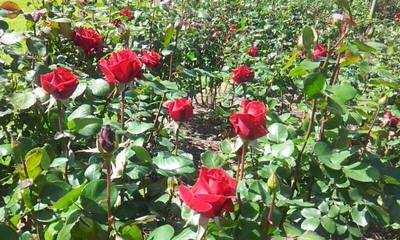 So don’t forget to pay them a visit when you come to grace the floral carpet of the Victoria State Rose Garden. What barriers do women face in getting ahead in their career?